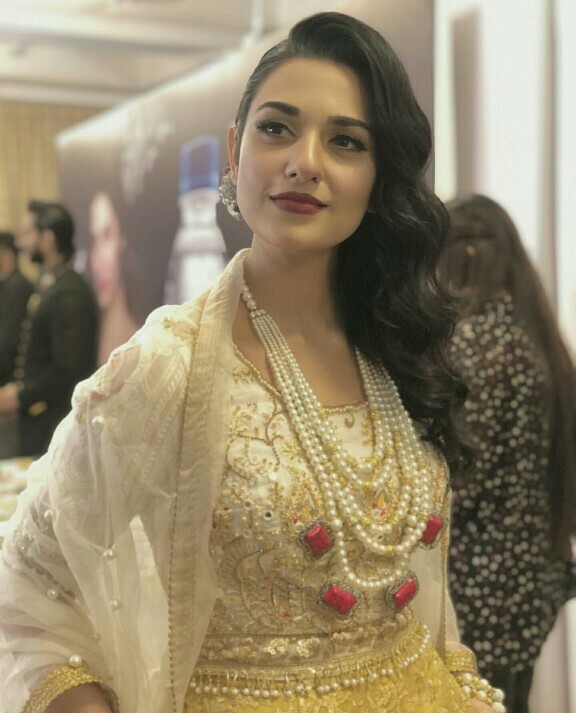 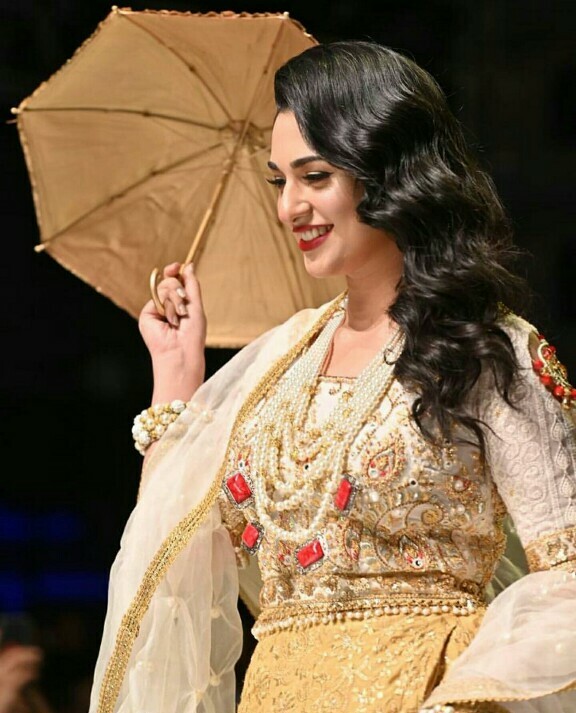 Sarah Khan is a beautiful and stunning lady. 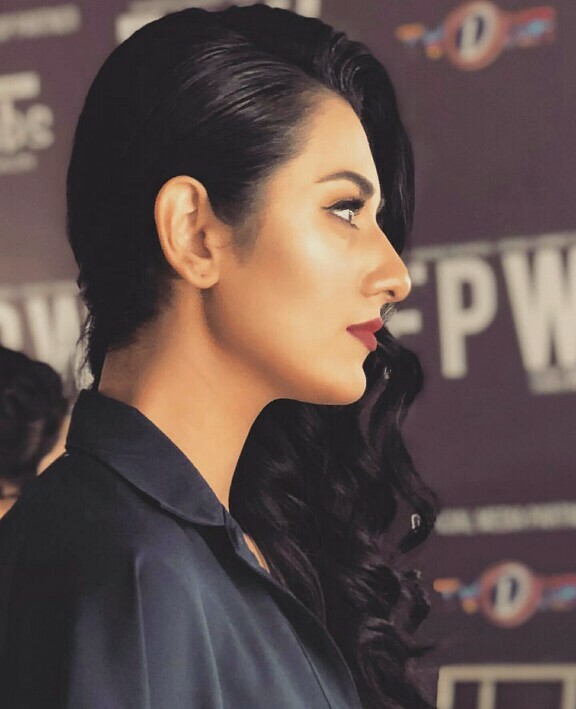 She has done all kinds of roles and has impressed the audiences always with her talent and screen presence. 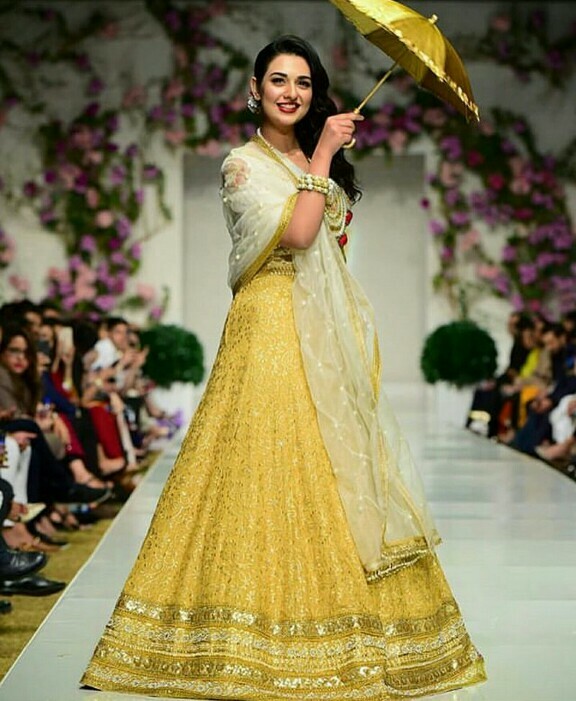 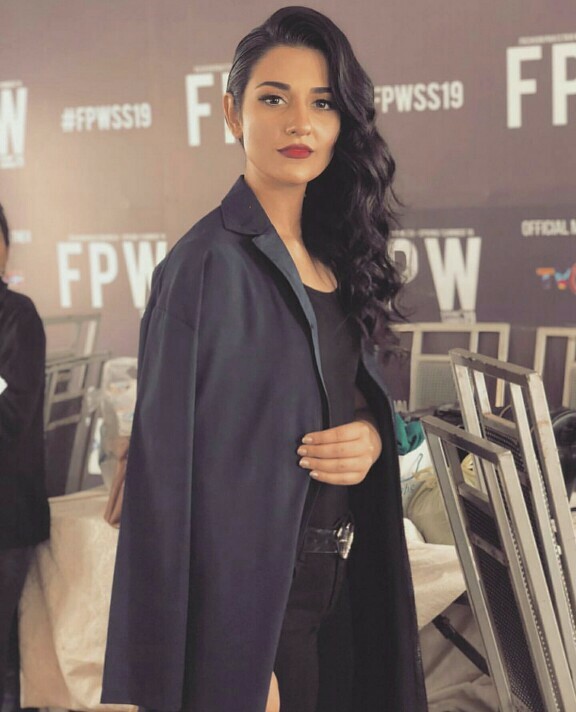 Sarah Khan also is a perfect face for many campaigns and is seen doing shoots for many brands. 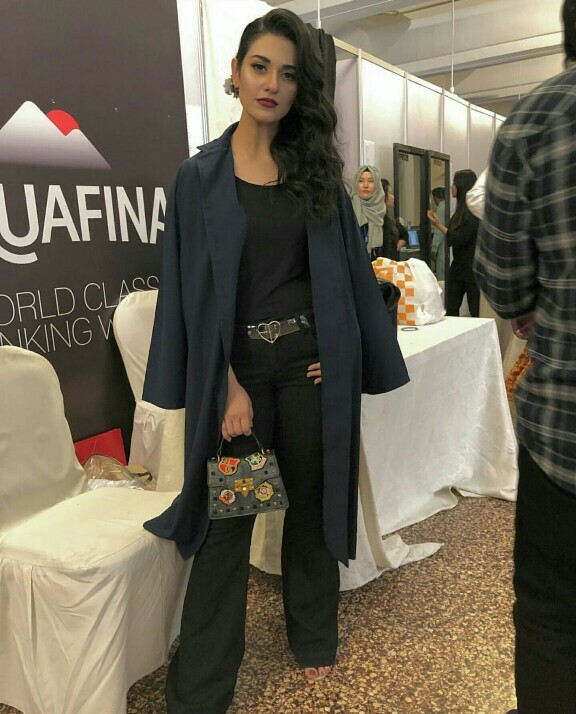 Sarah has walked many times for Huma Adnan. 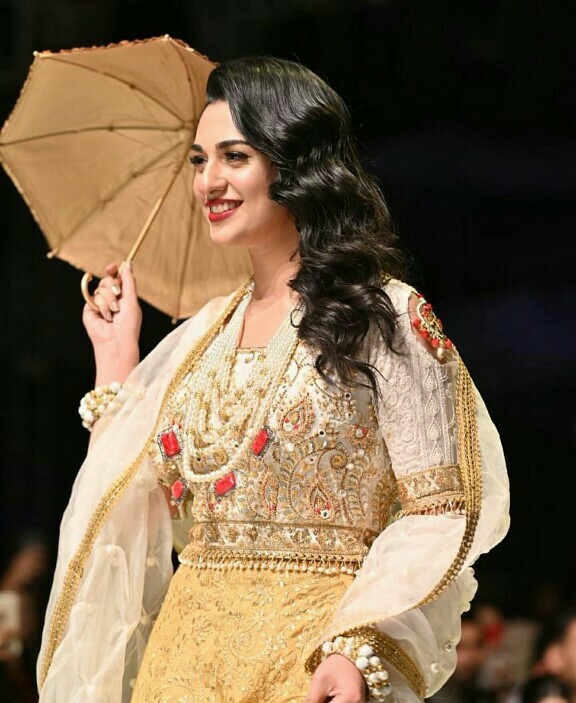 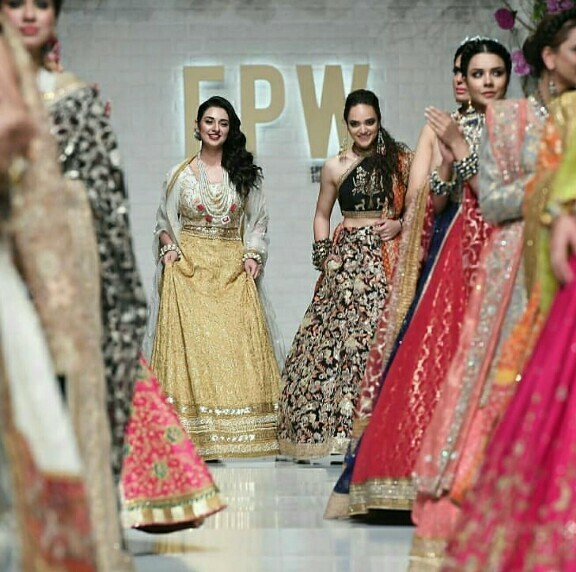 We just saw her at the Craft Stories show and now she was dressed as a perfect summer bride at the FPW 19 for Huma Adnan.